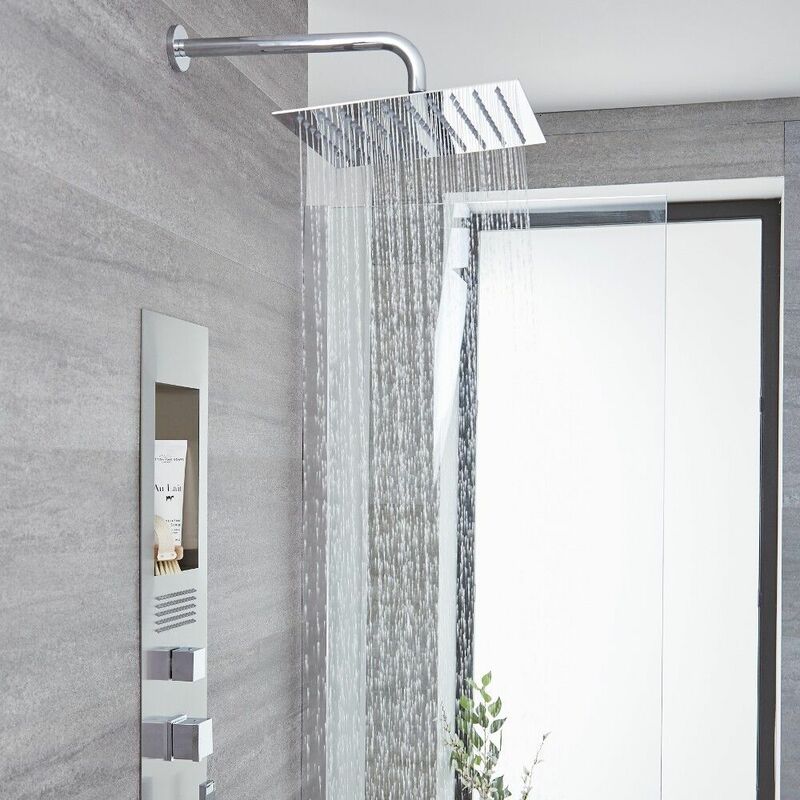 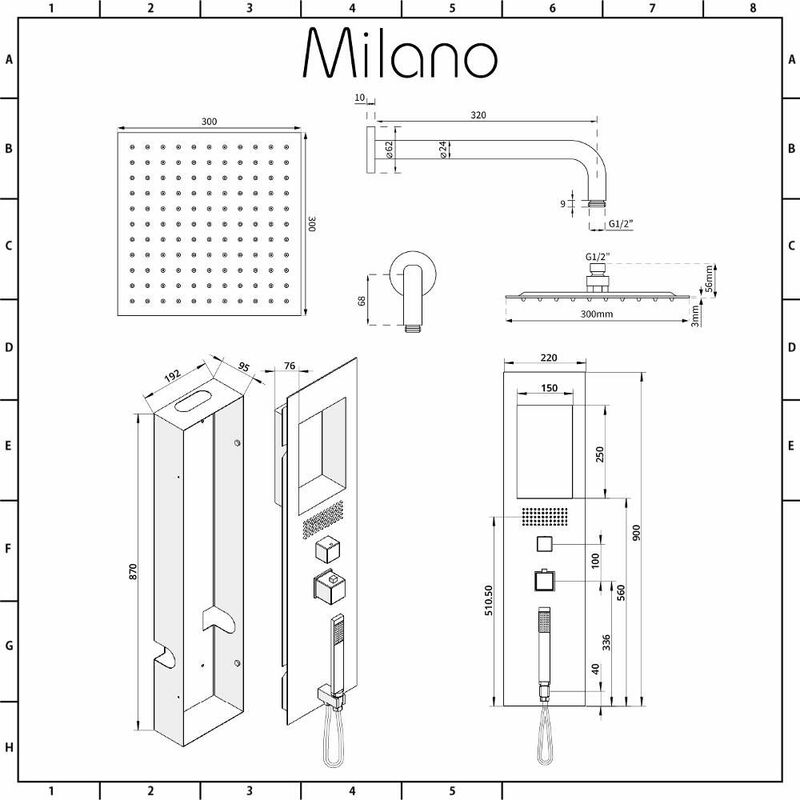 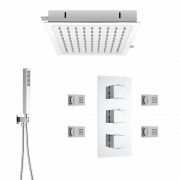 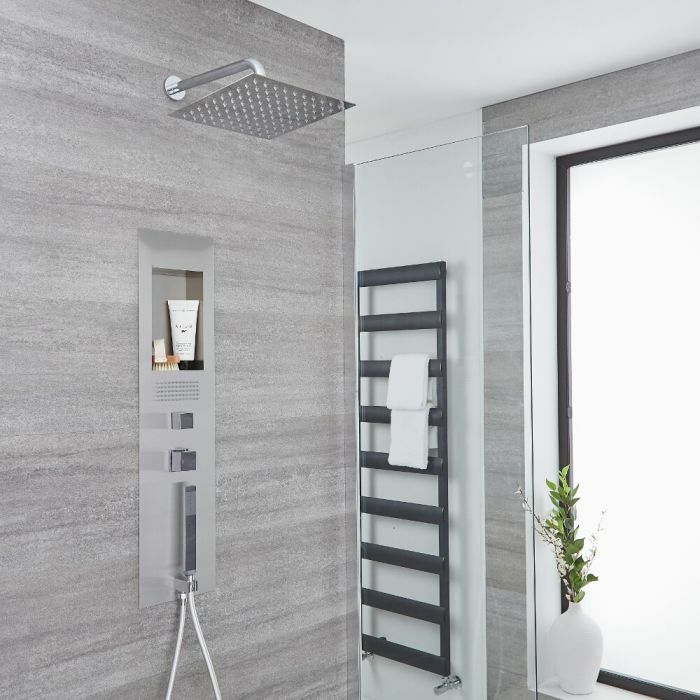 Bring a touch of designer style to your bathroom with the Milano concealed thermostatic shower panel and square shower head. 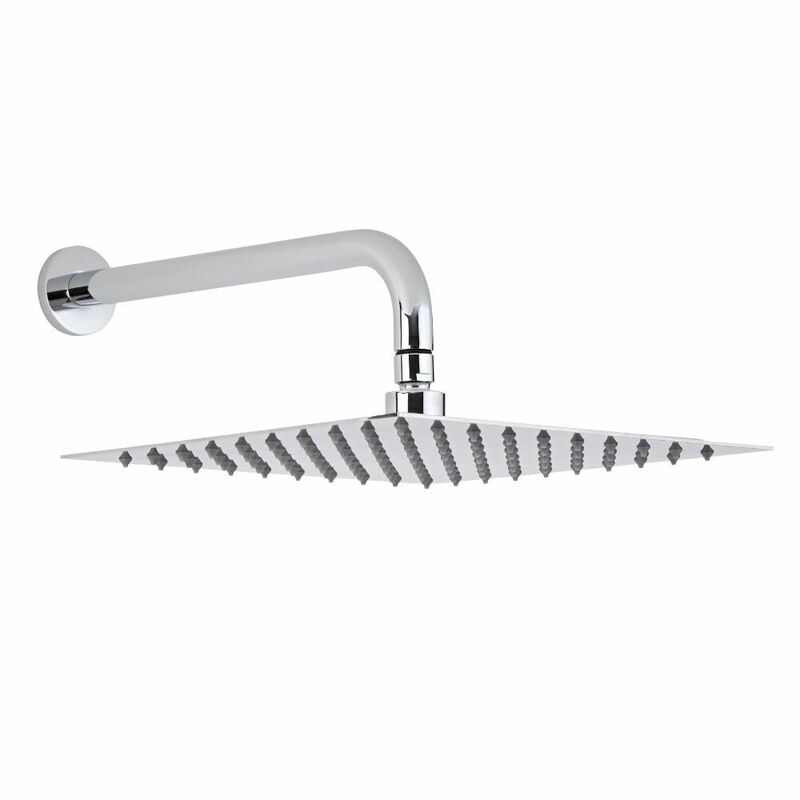 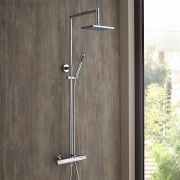 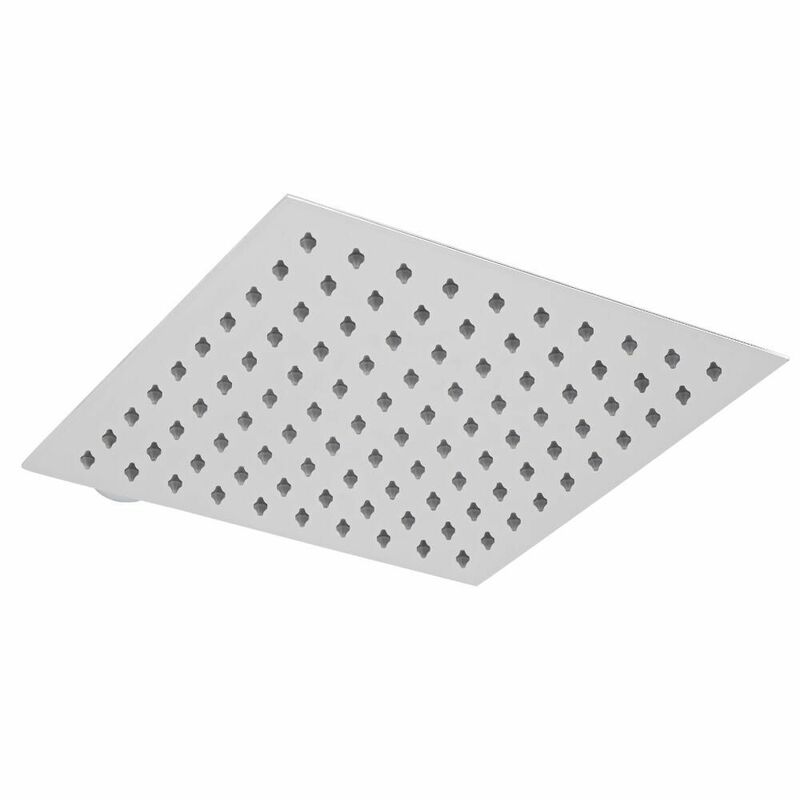 Supplied with the brass wall arm, the shower head delivers a refreshing showering experience. 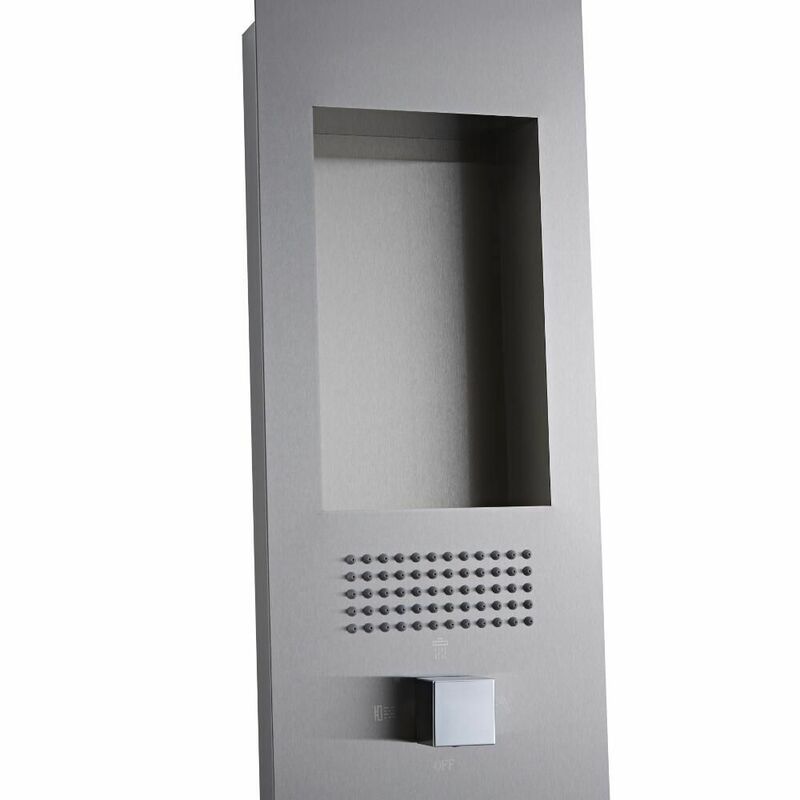 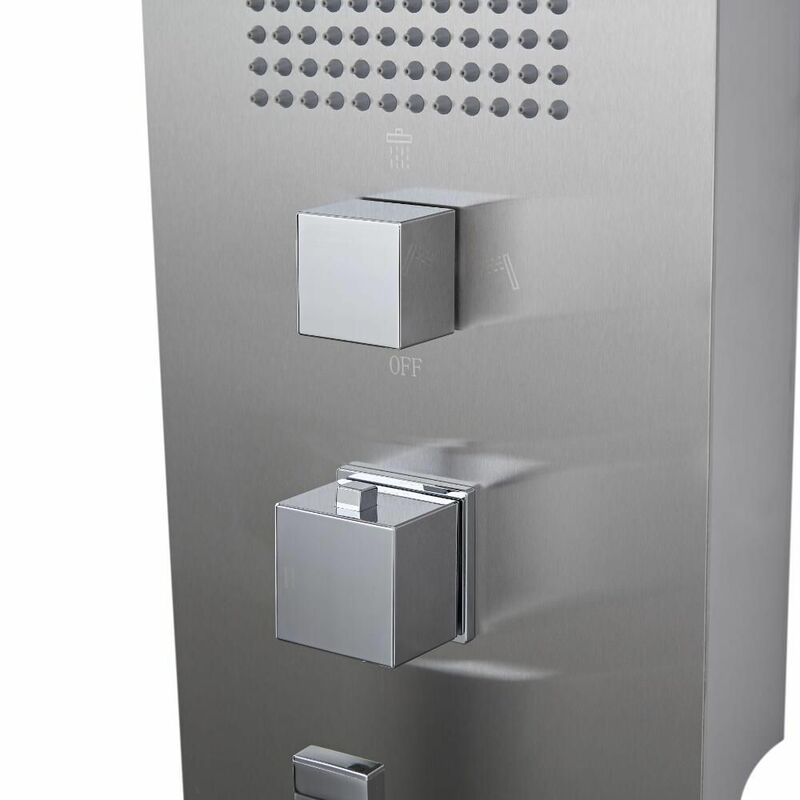 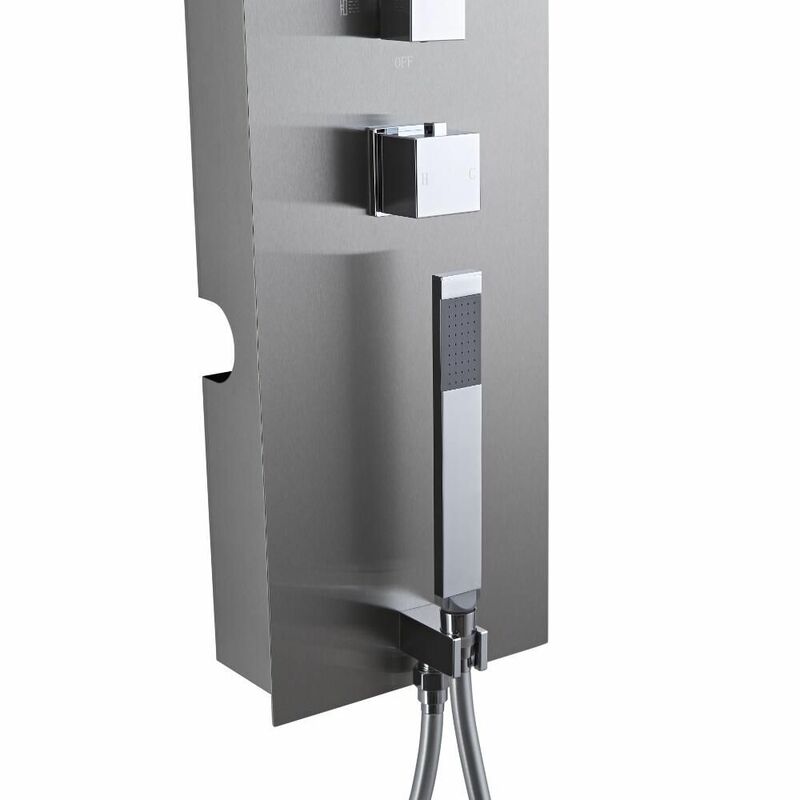 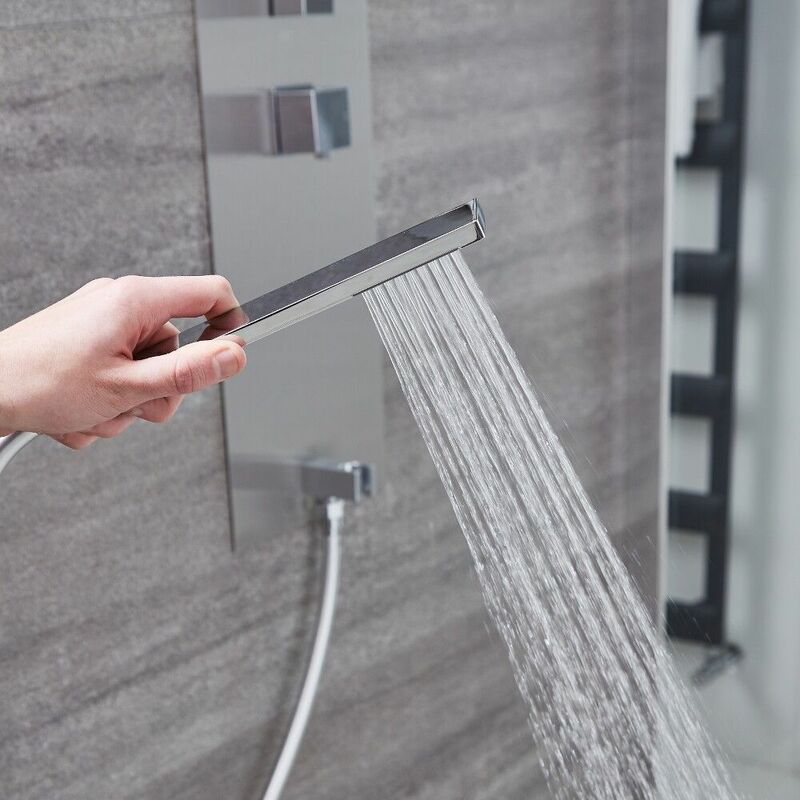 Made from stainless steel, the stylish shower panel features integrated storage for your showering essentials. 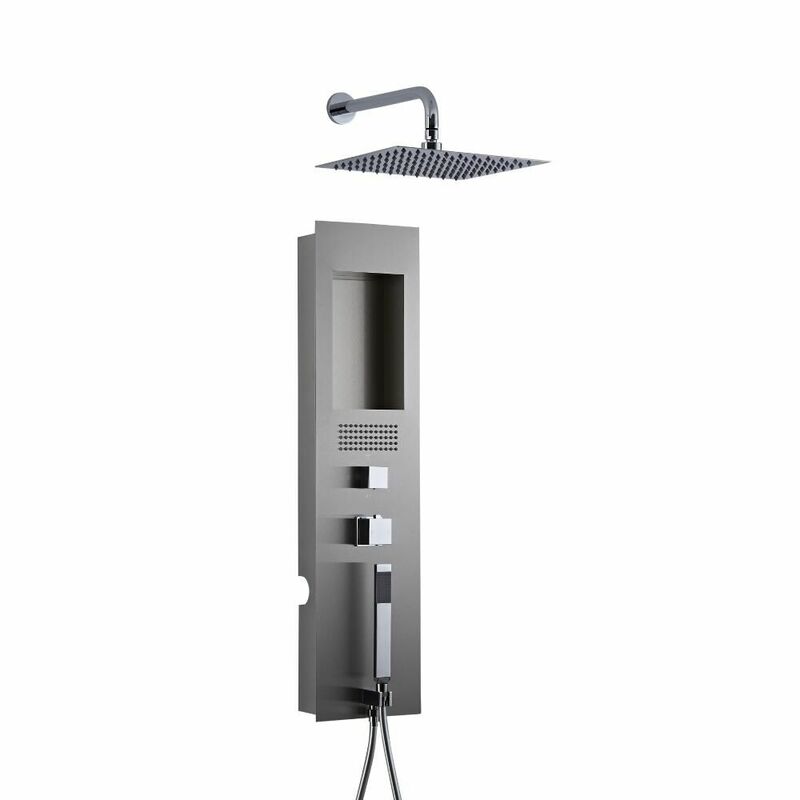 It also has a body jet and shower handset complete with hose.